In Tokyo, one building stands as an anachronism in the urban landscape. 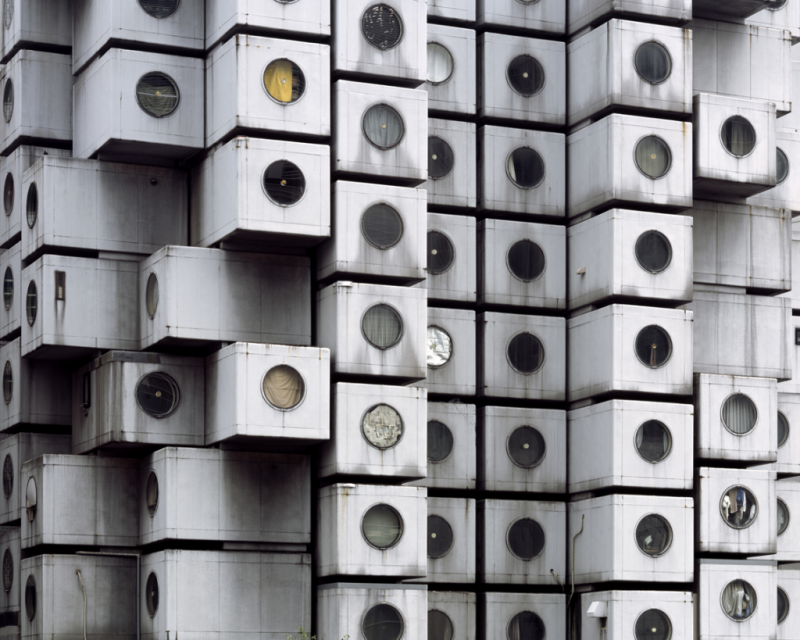 This building is the Nakagin Capsule Tower designed by Kisho Kurokawa, member of an influential architecture movement in the 1960s called Metabolism. When the building opened in March 1972, it was advertised to signal the “dawn of the age of capsule living”. The irony of the Nakagin Capsule Tower is the fact that it became the last architecture of its kind to be completed in the world. Furthermore, the building has never gone through the process of regeneration and continuous growth based on the principles of Metabolism. With the building’s system in stasis without fulfilling the original intent, it has become a monument to a future that never came. This project examines the utopian future as imagined by Kurokawa in 1972 and its condition today through photography. I am an artist based in Los Angeles. I graduated from the University of California, Berkeley in 2004 where I studied Art Practice and Asian American Studies. In 2011, I completed the Studio Art MFA program at the University of California, Irvine. I am interested in applying the medium of photography as means of investigating history and memory.